When I was in Chinatown, I saw this stall selling this type of drink. I was curious enough to take a little peek on to the ice box. A similar fruit from the Philippines digged in to my memory. 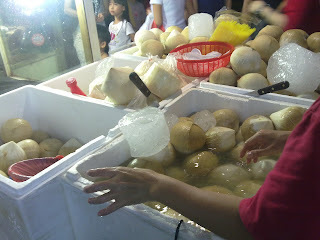 We call this as "buko" or young coconut. I thought, naahhh...have already taste this fruit and we have plenty of this in the Philippines. But, then I decided to buy one just to have a taste of it. The Auntie asked me if I want the S$1.50, the small size, or the S$2.00, which is the bigger size. So the bigger the better and I took it. 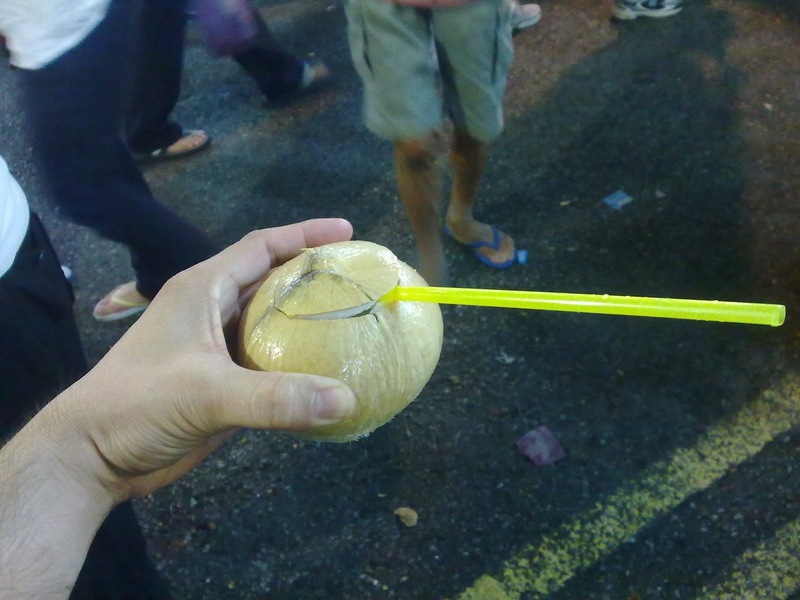 She broke the tip off the coconut and as soon as the top part is open, she placed a straw. Nice! In the Philippines, we placed it in a cellophane with a straw. This time, it's in the fruit itself. The coconut juice is sweet and the coconut shell is handy...Is it really a Fruit or a Nut? I wonder!